Please see below results of our recent parent and carer survey. As you are aware we survey the views of parents and carers in October every year to gather your opinions on how we are doing as a school. Once again, your response has been overwhelmingly positive. 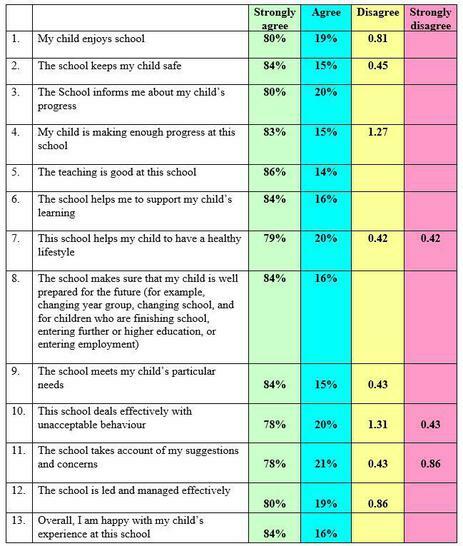 It is particularly pleasing to note the percentage of parents/carers who have marked the ‘strongly agree’ box. We are never complacent at Westfield and always strive to improve our school even further.